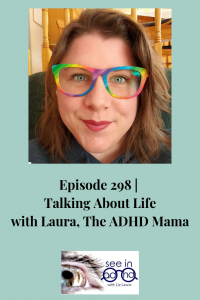 Join Laura The ADHD Mama and I for a conversation about all things ADHD. This is an honest, authentic conversation between two women who have a lot in common. Including our desire to serve other women with ADHD. Find Laura on Facebook as The ADHD Mama.